Jordan Todosey is a Canadian actress. 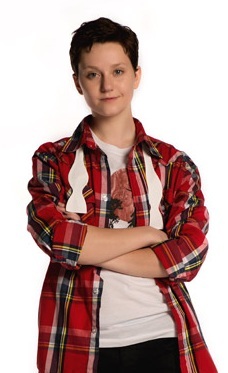 She is best known for her role as the first transgender character, Adam Torres, on the long-running TV series Degrassi: The Next Generation and as Lizzie McDonald on Life with Derek. Todosey is perhaps best known for playing transgender character, Adam Torres, in the Degrassi franchise, becoming the first actor to portray a transgender character in the show’s 30-year history. For her performance, Todosey won a Gemini Award in 2011, for Best Performance in a Children’s or Youth Program or Series, and the two-part episode “My Body Is a Cage” has also been widely recognized, including winning a Peabody Award in 2011, citing that Todosey “beautifully portrayed” a transgender character.